It’s tough for professional athletes – especially superstar athletes – to hang ’em up. There are few retirements that are sure-things any more. Michael Jordan, Roger Clemens, Brett Favre – the biggest stars of our generation can’t seem to let it go. And sometimes it’s good to see what’s left in the tank, to remind us of what once was and what could be again. But more often than not, superstar comebacks end with a wimper. A strikeout, an injury, an interception, a missed shot – rarely do athletes return to their former selves. Father Time remains undefeated. 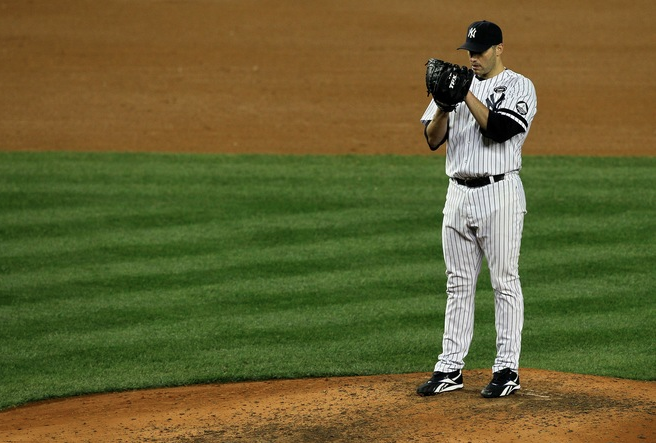 This isn’t to say that Andy Pettitte won’t have a good year. I hope he remains effective, just as he was in 2010, his last year in pinstripes. But now he’s 40, and it’s tough to pitch well in your forties. There are exceptions (Jamie Moyer, Randy Johnson), but it’s not easy. If anyone can do it, it’s Pettitte. He was actually better in the second-half of his career, even as his velocity declined. For now, there’s hope. Hope that Andy Pettitte can be the pitcher he once was – a dominant, intimidating presence on the mound who won the big games and was consistent start after start. There will probably be rough patches, questions of his effectiveness – it’s inevitable. But in the meantime, we can celebrate the return of one of the greatest Yankee pitchers of all time. Maybe he’s got some big wins left in the tank.